There’s a school of thought being passed around that farmers need to go back to the “good ole’ days”. You know, back when times were simpler and somehow farming was “better”. There’s a perception that farming in the "good ole' days" was some how more “authentic” than on today’s family farms. Would you go back to a 1940’s or 50’s vehicle? With no air conditioning? No GPS? No CD player? Only an AM radio? No seatbelts? Do you remember that the miles per gallon of those vehicles was in the SINGLE DIGITS? Let’s look at your hourly wage…. in 1950, the hourly wage was $0.75…. OMG! Still think that going back is a good idea? How about medicine? Want to consider where you would be without today’s most advanced medical technology? Would you ask your doctor to only prescribe medicines or apply medical knowledge that was available to us then? If your answer is no, then why would you think that family farms should go backwards? 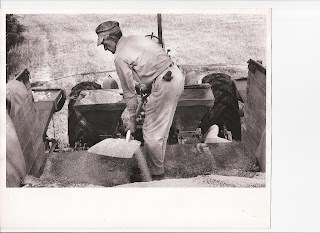 In 1950, farms averaged 37 bushels of corn per acre. Our family farm averages 165 bushels per acre in a typical year. 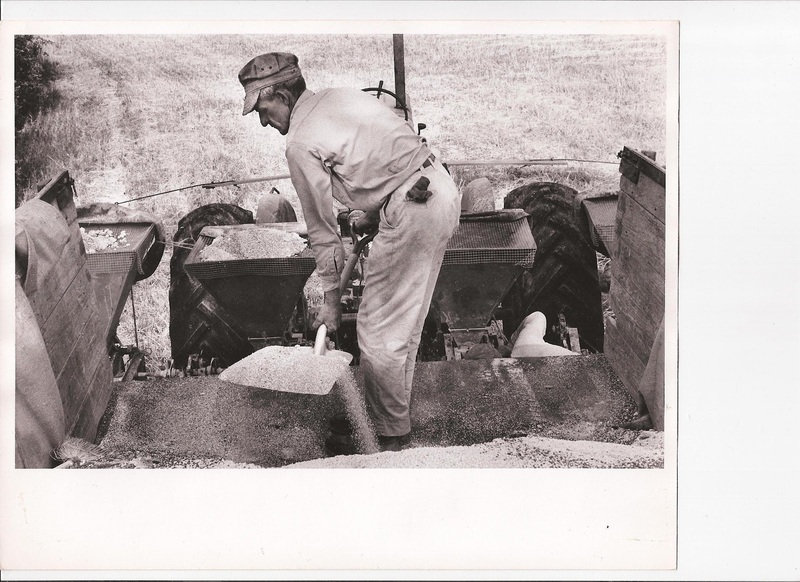 In 1950, farms averaged 18 bushels of soybeans per acre. 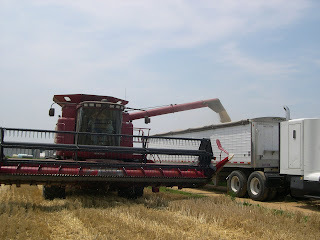 Our family farm averages 55 bushels per acre in a typical year. In 1950, farms produced enough food to provide for only 25 people. Today, our family farm produces enough food to feed 155 people. On today’s family farms, we are as technologically advanced as you are in your workplace. Our tractors and equipment are guided by computers and GPS and loaded with monitors to detect nuances within each and every field that we farm. We have yield monitors that show us where we have variations in our fields so that we can prescribe a precise “diet” to improve the health of the field where it is lacking, or can diagnose a problem. Today, we no-till our farm, meaning we do not turnover our soil before we plant. In the 1950’s, we mold-board plowed, a method that causes much erosion and run-off. Our soils are in better condition now with our current technology and farming practices than they were in the 1950’s. 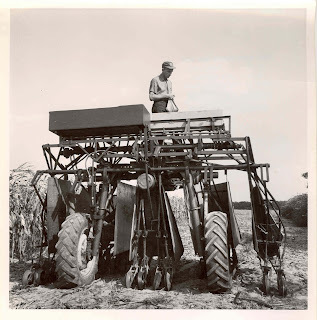 By the way, we actually started no-till farming in the 1960's, back then we called it "trash farming". This year, we will be using “Green-Seeker” technology which allows us to detect the amount of chlorophyll in our crops (the green I blogged about in Why are my fries green?) and apply only what nutrients are needed to ensure the healthiest crop. In short, we have the safest and healthiest food choices in this country because we family farmers in the USA are highly educated, are professionals at what we do, and adapt to the latest technology that makes our family farms sustainable for this and future generations. By the way, did you know that 98% of American farms today are just like us? Owned by families working to grow your food, fiber, and fuel. Below are some pictures from our farm. I call them "then" and "now" pictures. You will see a vast difference between the 1950’s and the current equipment and practices. What I want you to think about carefully is if it is realistic to expect family farms to return to old technology and old practices? Are you willing to return to old technology and old practices within your household or within your industry? Think about it and post comments. I’d love to understand this better. Thanks for listening. 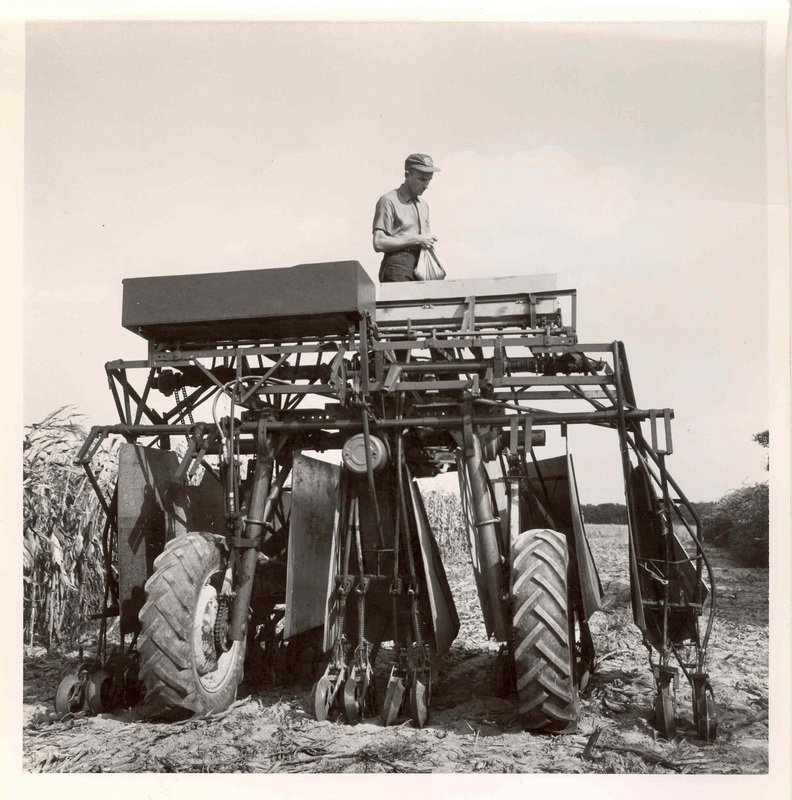 Our 1953 Hi-boy used to seed cover crop. This contraption would drive over the top of the corn you see on the left of the picture and drill seed into the ground below. My father-in-law filling a 2 row seeder by shovel. My husband filling a 77-row seeder.